If your business hosts events, it's a good idea to consider the insurance policies you could benefit from. 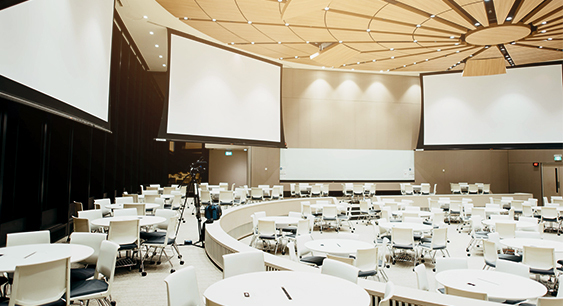 If you're in the business of hosting events or conferences, it’s well worth looking into business event insurance to help protect your financial interests. Even if you’re just planning a one-off event, insurance could still be vital to have in place. Events insurance is not strictly an insurance policy in itself, but rather an umbrella term which describes the numerous types of cover a business may need when hosting any kind of event - be that a one-off business conference, a regular industry meeting or even a music festival. There’s a good chance that your standard business insurance policy would not cover you for any unexpected incidents occurring at an event. This is usually because an event brings with it a higher level of risk, and therefore a higher chance that you would need to claim on your insurance. As such, it's likely you’ll need additional insurance to account for the added risk. What types of event insurance do I need? The types of event insurance that you need will depend upon aspects such as the type of event you’re hosting, the number of people attending and the level of cover you'd like - for instance, are you looking for insurance to cover a one-off event, or several events spanning across an extended period of time? Employers’ liability insurance: This type of cover could provide you with protection in the event that an employee makes a legal claim against your business for injuries or illness suffered as a result of carrying out their working duties. Public liability insurance for events: If a member of the public is injured or their property damaged at an event - and it's considered to be as a direct result of your business’s activities - then a public liability policy could offer you protection if a legal claim is brought against your business. This is why it's important to ensure you have a comprehensive policy, and not base your buying decision on a cheap public liability insurance policy. The value of items needed for the event – for instance specialist equipment. The above list isn’t completely exhaustive – there could a number of other factors that influence the scope of cover that you require for your event. It’s worth remembering that the extent of cover that you take out will also have a direct influence on your event insurance cost – as typically, the more risk you want covering, the higher the cost. For example, your service could introduce additional risk to your customers in an event setting - as such, you can expect your professional indemnity insurance cost to rise. To get a bespoke event insurance quote to cover everything you need, get in touch with Make It Cheaper Financial Services. Our UK based insurance experts make it quick and easy for you to get an event insurance quote in the space of one short phone call. Call us on 0800 970 0077 today. Alternatively, click the ‘get started’ button below.